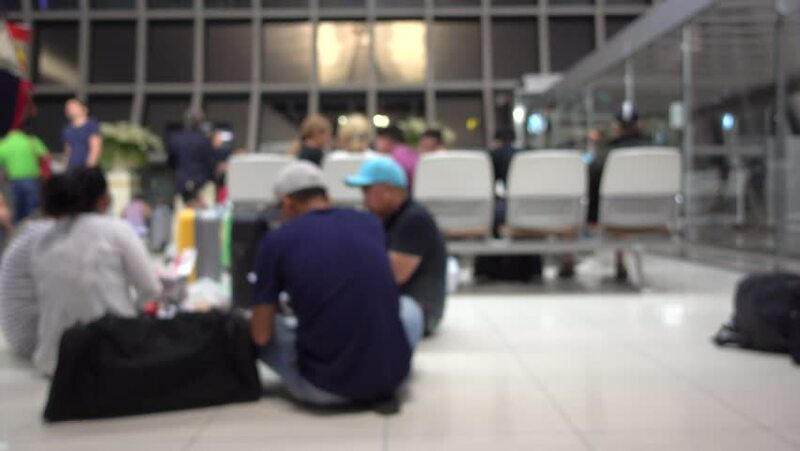 Blurred defocused image of many people sitting and waiting for the chair in gate waiting zone at the airport. hd00:30SAN FRANCISCO, CALIFORNIA MAR 2013: Crowd group people tourist Fisherman's Wharf San Francisco blurred. Fisherman Wharf San Francisco California people. A neighborhood and popular tourist attraction. hd00:13Time Lapse of people walking in city of Sydney. Pedestrians walking in city of Sydney. Out of focus background from top view.